The 15th of November at 2pm EST and 7pm GMT, the doors to the worlds FIRST fully 3D Internet poker site will open. "3D is the next obvious step in internet poker, we are excited to be paving the way!" says Lars Feely, MD of Vegas007." Vegas007 has purchased the platform from the company, 3D Internet Games based in Norrköping, Sweden. With 3D graphics and the ability to design your own animated players in an environment that is just like a casino, Vegas007 takes worldwide first step in pushing out the boundaries of internet poker. "We are betting on a community feeling where the players can design their own caricatures. The chat function will fulfill a central role when spontaneous discussions between the players can develop a very real feeling to the game." says Reidar Svedahl, CEO, 3D Internet Games. The site doesn't only cater for poker; users will also be able to play Blackjack in a 3D environment, with the same program, without having to download a separate client, and without needing a separate account. "The trend is obvious, during the EIG Congress and Expo in Nice, 7-9 November; it was made clear that 3D is the next big step in online poker. We are already working with many new clients." says Reidar Svedahl. The 15th November at 2pm ECT the site www.vegas007.com will open for players with real money, right now you can visit the site to test it, but without real money. LADBROKES, the bookmaker and gaming operator, is to invest £3 million in its Poker Million tournament next year in an effort to turn the event into a European competitor to Las Vegas’s World Series of Poker. It Says Act Is Unclear on How to Deal With Companies like NETELLER. NETeller has decided to take a more cautionary approach in dealing with the United States’ recent attempt at stemming online gambling. PokerLoco offers a good deposit bonus deal for the readers of What's Poker. It's a deposit bonus of 200% up to $1000. Write whatspoker when you make the deposit. You must have a turn over of 10 times in rake to clear the whole bonus and you have 60 days to clear it. 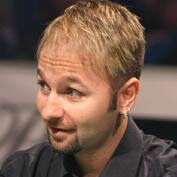 Register and participate in FCP’s Wear the Name, Share the Fame promotion and you can take part in the success of Daniel Negreanu at the 2006 World Series of Poker. Full Contact Poker will match five percent of Daniel Negreanu’s gross winnings from all the World Series of Poker (“WSOP”) events he plays from June 26, 2006 to August 10, 2006 to create a prize pool for promo participants to split accordingly. Absolute Poker has 3 daily freeroll Qualifiers for the big $250.000 freeroll on the 23:rd of June. The first place finisher gets $50.000. The DreamPoker players that accumulate 200 DreamWSOP points over the six weeks between the 9th May 2006 and the 22nd June 2006 will be entered into an exclusive WSOP freeroll. All new players who despoits $25 or more gets to play $15K Deep Pockets Guaranteed for free. You also get 110% extra up to $500 on your deposited money. The winner of a popular $500K MTT on Party was revealed as a cheater playing with two account at the same time from the same IP. NEW YORK, Dec. 21 (UPI) -- It was no coincidence that record numbers of people played online Texas Hold'em poker on the same day New York City's transit system was shut down by a strike. Marty Wallace, chief operating officer for DoylesRoom.com, told the Chicago Tribune the site usually has 3,000 to 3,500 people playing during business hours, but Tuesday, the count jumped as high as 6,500 players. "At first we didn't know what was going on with the flood of players we were getting from New York City," he said. BetOnSports.com's poker room also experienced a "30-35 percent increase in both free-play and real-money games, and it was a clear connection to the New York transit strike," said spokesman Kevin Smith. Some 7 million people normally use New York buses and subways each weekday. The strike entered its second day on Wednesday. BETandWIN.com Interactive Entertainment AG said Friday it has entered into a Share Purchase Agreement for the acquisition of 100% of the shares in Ongame e-solutions AB. One of the great innovations that Benny Binion brought to tournament poker, other than the World Series of Poker itself, was the opportunity for players to earn their way into the greatest event in poker through smaller buy in tournaments called satellites. Traditionally, they have been held in Las Vegas (first at the Horseshoe and now carried on to the Rio by Harrah's) around the time of the WSOP starting. Over the past few years, this has changed and will face another change starting this year as well. Online satellites have been one of the most popular ways that the World Series has expanded the field. Those first online entries came in 2003, which brought over 800 players to the felt, a record at that time. In 2004, it tripled the field to over 2500 players and, in 2005, set the record at an astounding 5619 players. What hasn't been seen, though, is satellites in brick and mortar casinos that players can earn their way into the Main Event through. Top online gaming company Betfair closed a deal it has been working on for months, when it reached an agreement to buy top online poker site Poker Champs, and their software company Aglet. With the announcement last week of the schedule of events for the 2006 World Series of Poker, there has been a maelstrom of protest from pretty much everyone. Of the forty four events that make up the 2006 schedule, over half are No-Limit Texas Hold 'Em events, with games such as Omaha, Seven Card, Razz and others reduced to second class citizen status, battling for the other twenty or so slots. This hasn't set well with many players and has brought a tremendous amount of criticism upon Harrah's, who set the schedule for the 37th renewal of the World Series. The World Poker Exchange is Sponsoring In-Flight Video Tutorials Soon, poker players flying to their favorite poker rooms can pick up some tips while up in the air. When something gets skewed in the brain's pleasure pathways, an ordinary person can turn into a compulsive drinker, drug-user or gambler. Read more on "The Albuquerque Tribune"
PokerShare.com is the world's first online poker room to offer its users the opportunity to own a percentage of the company's profits. When you play on PokerShare.com you earn SharePoints from the length of time you play, to the number of pots you contribute and from tournament fees. SharePoints entitle you to a percentage of the company's profits. 40% of the company's profits go directly into a Gibraltar-based Trust. The Trust distributes dividends to players relative to the number of SharePoints earned. Join Pokershare.com - 100% up to $250 FREE! New online poker room, PokerShare.com, has taken a page out of Golden Palace’s book and has come up with a bizarre marketing ploy. It has offered the town of Sharer, Kentucky, $100,000 to change its name to PokerShare.com. A Clark County District Court jury has awarded a gambler $110,000 for an incident in 2001 in which he was detained in a security office at the New Frontier. Tournament Poker: A Team Sport? Only the most successful players in the world are well served by maintaining the style that has brought them success. For the rest of us, tournament poker is a constant quest to get better.